Even a brief encounter with the drive quality of the Daily will reveal that this is a manufacturer that chooses to do things a little differently. The range of Iveco’s flagship van is extensive, but it certainly doesn’t try to be all things to all men. If, for instance, you’re looking for the cheapest way to transport your tools and materials to site then look away now, because this is not the solution for you. What you do get, however, is a level of technology and comfort that betrays the maker’s HGV heritage, and if you’re in the market for an automatic, then this is amongst the best that money can buy. In fact, the Iveco is the only LCV where the chassis is separate from the body, just as in its bigger brothers in the truck world. 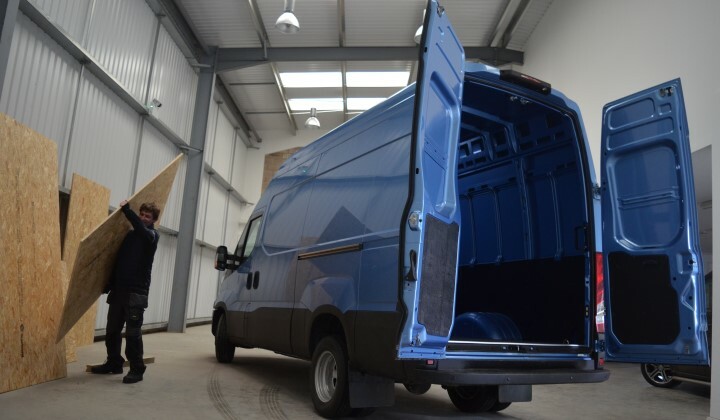 That makes for greater potential payloads, which is why the maker of the Daily remains the only manufacturer that can offer a van-based product at six tonnes and above – thereby providing an alternative to a traditional 7 tonne truck without any loss of payload. Similarly, the driver’s seat is a direct crossover from the cab of a truck, with air suspended seats that shield the occupant from bumps in the road – and thanks to the Beast from the East there are now plenty of those to contend with. Of course, in the UK the 3.5 tonne will always be the mainstream choice, but whatever size you’re after that truck-built body and chassis configuration makes for easier conversions than on some rivals. Across the whole range there are three heights and five lengths to choose from with load volumes that start at 7.3m3 and expand to a positively cavernous 19m3 on the largest 7 tonners. In fact, taking in all the optional extras and you’re looking at an extraordinary 8,000+ available versions, which certainly gives you a fighting chance of configuring a model that is perfectly suited to the needs of your business. Professional Builder was fortunate enough to experience another of the Italian manufacturer’s technological advances with our test vehicle’s Hi-Matic 8-speed automatic transmission. 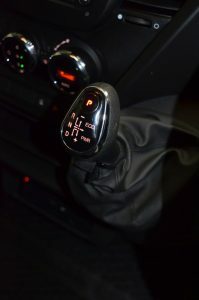 According to its developers, the correct gear is engaged in less than 200 milliseconds, which makes for a virtually imperceptible up or down shift. In fact, when you’re at the wheel it’s very easy to forget that you’re driving something quite as substantial as the Daily is, such is the comfort that the combination of drive position, and driver’s seat afford. In cab noise has been substantially reduced, whilst a leather steering wheel – available as an option within the Tech Pack – adds to the sense of unaccustomed opulence. Iveco is also at the forefront of the latest thinking on sustainability. 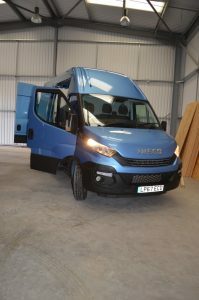 As legislation demands the latest Daily is Euro 6 complaint, but there’s also a 136hp Iveco Daily Natural Power that runs on compressed natural gas. Engine outputs range from the entry level 116hp, up to class leading 4 cylinder 205hp. Within that range there’s also a 136hp VGT and 180hp models, as well as the F1A 2.3-litre 156 hp VGT. Our test model, with its F1C 3.0-litre engine, will reach an impressive maximum torque level of 470Nm, a feature that anyone in the business of towing heavier pieces of plant will find welcome. It also benefits from the higher end of horsepower at 205, which makes for a satisfying level of acceleration for such a large unit. Iveco claims an improvement in fuel economy of up to 8 per cent on its Euro 5 predecessor, and further savings can be made. The company’s existing EcoSwitch has now evolved into EcoSwitch Pro, an intelligent system that will step in and reduce torque without intervention from the driver, reducing fuel consumption in the process. Not only that but the Iveco Driving Style Evaluation system is your own personal driving instructor, helping you to hone your driving skills and ease the pain at the pumps in the process. The internet of things is one of the great buzzwords of the modern age and it is driving an unprecedented interest in connectivity, and commercial vehicles are by no means exempt. Almost every manufacturer is promising some level of synergy between your smartphone or tablet and your faithful workhorse. At its best it empowers business owners with the data to make efficiency drives, and the Iveco Daily is also getting in on the act. Simply download the Daily Business Up app on your device, and it will automatically establish a Bluetooth connection with the vehicle through the DA​B radio: it is now fully integrated and in direct communication with your Iveco Daily and its engine. The app has two levels of functionality – Driver and Business Assistant. The former incorporates the aforementioned driver’s instructor through the Driving Style Evaluation system, and includes a navigator with the Sygic 3D professional navigation system. Daily Business Up goes further by helping to schedule jobs and can communicate updates in real time to a driver. In order to help you optimise the best use of the vehicle, you can also organise a route and assignments. And woe betide anyone who breaks the statutory speed limits as a booming female voice will leave you feeling suitably chastised. The Daily is an unashamedly high end piece of kit but, if you are in the market for a van that can pack a knockout punch when it comes to payload, then this is the vehicle for you. Indeed, none of its rivals can match its vital statistics in the larger weight categories. Not only that, but it achieves a level of in-cab comfort that is befitting of a far from inconsiderable investment, but without losing any of the characteristics of practicality that the building industry demands.